Did you hear that? No, but I bet your next big bass did. WOO! 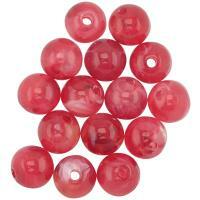 Tungsten Flipping Beads are the perfect addition to your WOO! 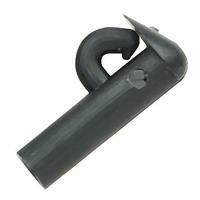 Tungsten punch weight. 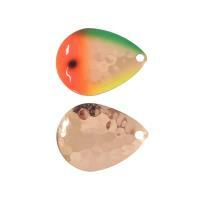 When this resin flipping bead hits the punch weight, it adds the right amount to get fish interested. 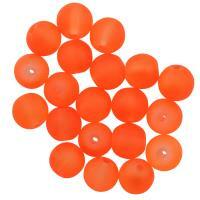 These flipping beads will not cut or fray your line so that swamp donkey won’t get away. WOO! 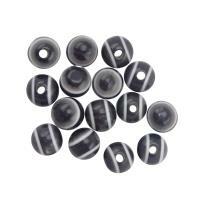 Tungsten Flipping Beads are a great way to protect your knot as well as add just enough noise to catch the attention of bass in thick cover. The WOO! 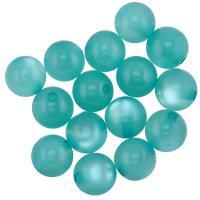 Tungsten Eyeball Flipping Beads make a unique clicking noise under water that will bring you more bites. 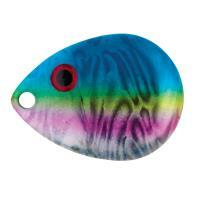 Their color pattern resembles baitfish eyes in the water. 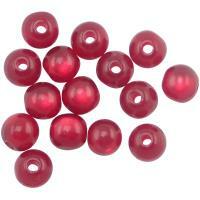 Made of resin with a smooth hole, these flipping beads won't cut or fray your line like other materials. Sure to get the attention of the giants hiding in the water, these little beauties are a must-have addition to your rigs! WTP Replacement Lure Eyes are a great way to enhance your lures and spoons making them more attractive and life-like to your next catch. 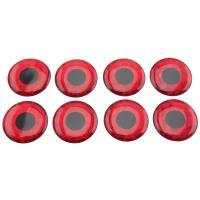 These self-sticking molded eyes are an easy way to customize your lures and add some enticing flash. 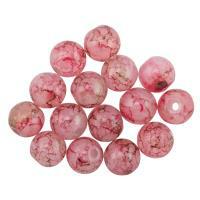 Change the way you river fish for steelhead and salmon with Creek Candy Bead Company Sinkz Beads! 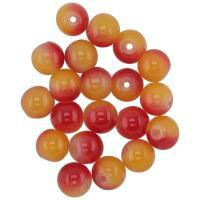 These Sinkz Beads help you get into the strike zone fast and stay there! 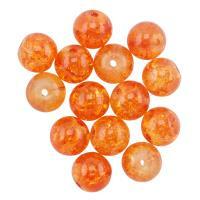 Customize all of your flies, jigs, or spinners with realistic colors, sizes, and weights of these fantastic beads. 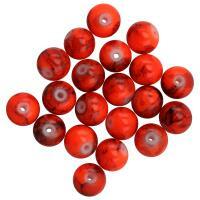 Catch your next monster fish with Creek Candy Bead Company Sinkz Beads! Perfect for customizing your own walleye rigs and spinners, the Dutch Fork Poly Clevis is incredibly easy to use and ensures you won't lose your blades! Place your small ghost blade on the clevis, thread your line through the clevis, and Voila! You're done! 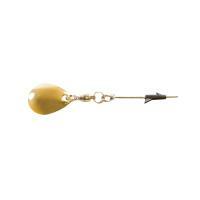 This plastic clevis is lightweight, super durable, and works on any monofilament line. 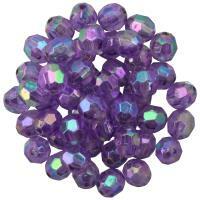 The Dutch Fork Poly Clevis is made in the U.S.A.
Mr. Derk's Tackle UV Diamond Beads feature the appearance of UV tape - on a bead! Salmon and walleye won’t be able to resist your fly or harness rig presentations with shiny bad boys like these. 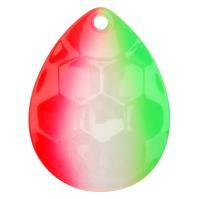 Made of durable acrylic plastic with UV flash accents. 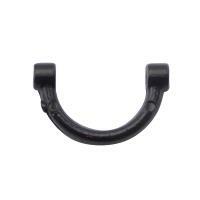 The Mack's Smile Blade provides a life-like action at ultra-slow speeds. 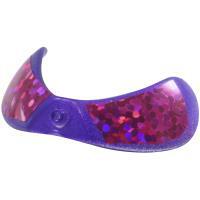 This blade is flexible and easily tuned to suit your style. Utilize the wide blade angle for a slow wobble or the narrow blade angle for a vigorous shake and spin. 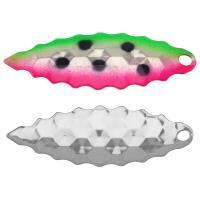 The Mack's Smile Blade comes in a variety of colors and sizes, so you can perfect your own fishing lure! 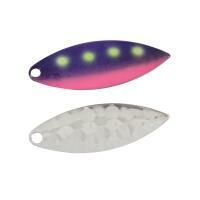 P-Line Sunrise Squid Skirts are high-quality plastic baits with incredible UV and Glow colors for serious attraction. 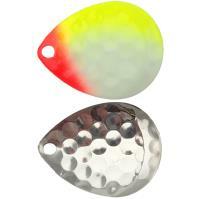 Designed with trolling in mind, these can be fished many ways and for a whole variety of species. 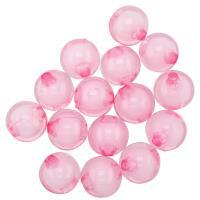 Re-skirt your favorite jig heads or add a little flair with these squids, and you will see quickly see results. 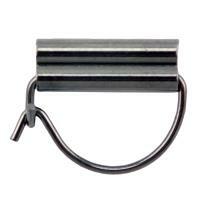 The Northland Quick-Change Weight Snap Clevis is constructed to allow for quick, easy, and efficient changes. 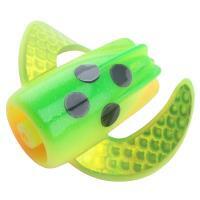 The interchangeable design is perfect for blades or weights. 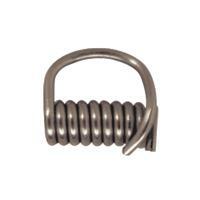 This clevis is made from durable plastic to reduce line damage. 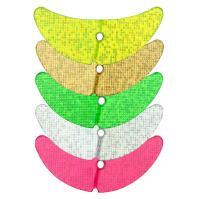 Moonshine Harness Blades will add a vibrant glow and spinning action to your custom spinner lure. 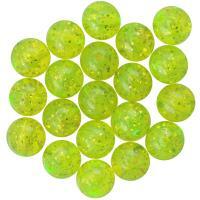 The custom glow paint make these perfect, not only for night fishing, but also at deeper depths. 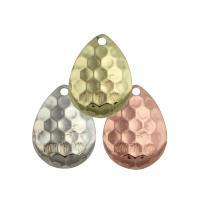 In each pack, you will receive three #5 blades with hammered copper or silver backs. Northland Colorado Blades are teardrop-shaped and used to assemble spinner rigs, spinner baits, and blade baits. These blades have a deep cup, which gives them a slow revolving presentation for maximum flash, sound, and vibration. The Pro-Troll EChip is an electronic attractor which features an internal microchip electronic crystal that emits a small electrical discharge, similar to the natural nerve discharge of baitfish. Predator fish are attracted to this tiny electrical discharge and rely on it to find food. 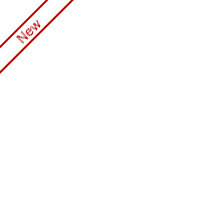 Available in sizes Small (2041) 1/2" and Large (2044) 3/4". Each package includes one EChip, several pieces of shrink tubing and rigging. The Echip never needs charging or batteries and it will never wear out. Berkley Crawler/Minnow Harness Floats are popular for use with crawler and minnow harnesses used for trolling and drifting for walleye. 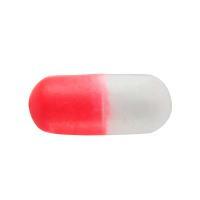 Each package includes 15 Flo. Orange/White floats. 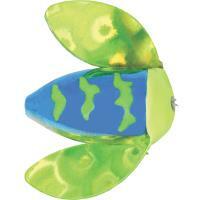 Each float measures approximately 9/16". 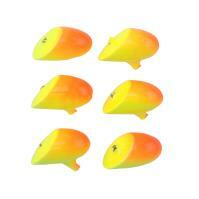 The Berkley Crawler/Minnow Harness Floats are Berkley part number WCFLT. The Berkley Walleye Rig Making Kit includes everything you need to make your own crawler and minnow harnesses, just add your favorite leader material and hooks. 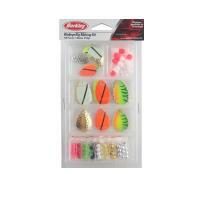 Each Berkley Walleye Rig Making Kit includes 80 attractor beads in a wide variety of colors, 6 Indiana blades - Sz. 4 (6 colors), 6 Indiana blades - Sz. 2 (6 colors), 4 Colorado blades - Sz. 3 (4 colors), 15 EZ change clevises and 5 floats. 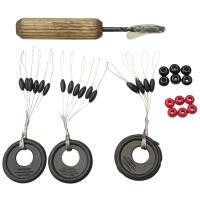 The Berkley Walleye Rig Making Kit is Berkley part number WRMKIT. Lure components are offered for the angler wishing to build their own custom trolling rigs or to modify commercial harnesses. Lure components can be generally described as parts for a finished lure, but packaged in quantities to typically make or modify more than one lure. 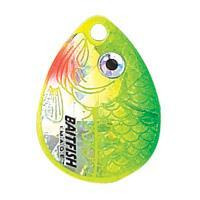 Anglers can purchase separate pieces to create a lure they believe will be perfect in their specific situation. 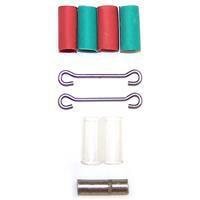 The types of lure components available are blades and attractors, clevises, and beads and floats. Assembled together, numerous combinations of these different parts could attract almost any type of fish an angler may target, and at any time of the year. Add these components to wire, fluorocarbon, or monofilament leader materials, tie on your favorite hook(s) and you’ve custom tied a crawler harness. Add floating beads to an ordinary bait harness and you’re changing the presentation drastically, which could trigger bites when others are drowning bait. There are components that can be added to any existing lure or bait harness to make them even more effective. FishUSA offers packs of lure components, kits, and component assortments to provide countless options for the beginner, or as a jumping off point for combinations of elements not available in commercially made lures. 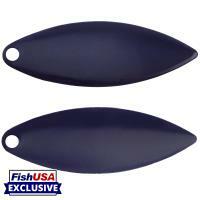 The top brands of lure components at FishUSA include Worden's, Silver Streak, Dutch Fork, Northland, and Berkley.